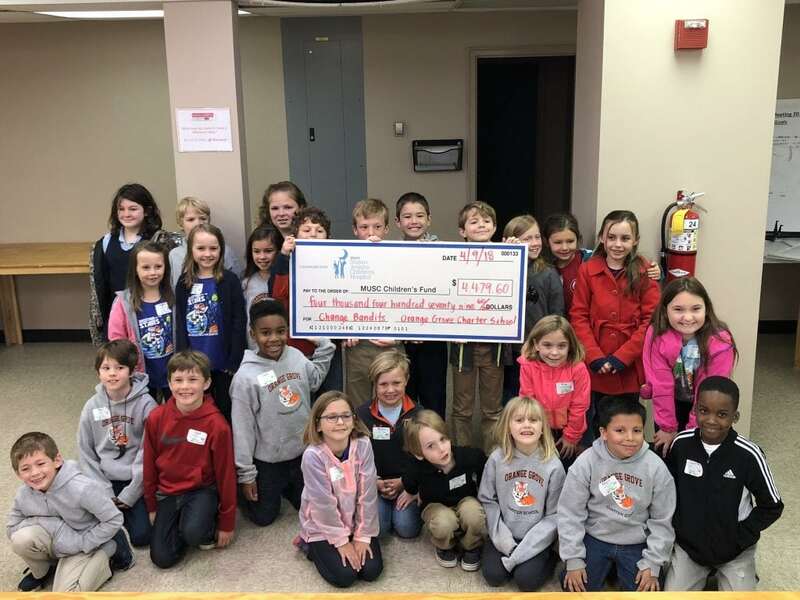 Orange Grove Charter School in West Ashley participated in the Change Bandits campaign for MUSC Shawn Jenkins Children’s Hospital. Throughout the month of February, each class in the school competed in a competition to raise money to help build the new children’s hospital. The fundraiser simply included each classroom having a change jar in which students were able to bring in money over the series of four weeks. All of the money collected went towards the campaign for MUSC Shawn Jenkins Children’s Hospital. The winning class at Orange Grove Charter School received a hard-hat tour of the new hospital site with a pizza party following. Mrs. Ruopoli’s second grade class won the friendly competition, raising $602.21 and toured the construction site on May 9th. Morgan Garrison, the daughter of MUSC employee, Kelli Garrison, coordinated and executed a fundraising festival on Saturday, February 17th. Morgan, a second grader at Orange Grove Charter School, arranged for vendors to come to the festival, who all donated back to MUSC and the Change Bandits program. Overall, the festival raised over $700.00. Over the month of February, Orange Grove Charter School raised in total, over $4,000. All proceeds were donated directly to the campaign for MUSC Shawn Jenkins Children’s Hospital.